These systems cover a large number of "point-of-sale" aquariums, display units and holding systems which can be used to both hold and display live fish, shellfish or both in wholesaler’s premises, shops and restaurants. 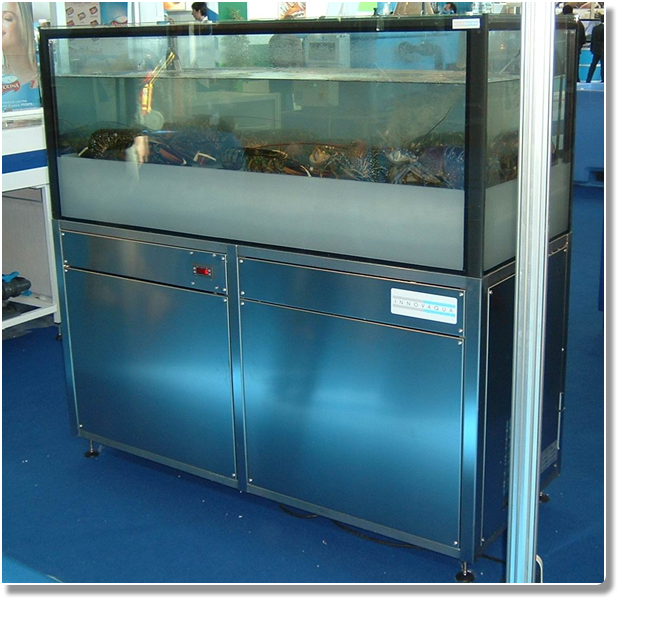 They can be tailored to suit the customer’s specific requirements from simple holding aquariums with pump, chiller and filters to large depuration / holding systems suitable for wholesalers and fish markets. For further information please contact us or visit Innovaqua to see more.